As we start a new year, I thought I would list three ways you could increase the effectiveness of your website by increasing quality visits and conversions. SEO is vital to your website being found for the right keywords in online searches. One of the best ways to improve your SEO is to do some Keyword Research. When doing Keyword Research, you’ll want to research the terms that your potential customers might use to find you. Be careful not to use industry jargon (i.e. technical terms used by those in your industry) unless those are the terms your customers use. The terms your customers use to find you may change over time. For example, what we now call laptop computers have been called portable computers and notebook computers. Your main product or service may change over time. So update your website to include the right Keywords. One of the best ways to increase quality visits to your website is by blogging. The simple rule is that the more content you have on the web, the better your chances of being found in search results. And there is no better way to increase your content on the web than by blogging. Be sure to include your Keywords in your blog posts and your blog posts’ names. Of course, there are many more ways to improve your website. These are just three to help get you started. 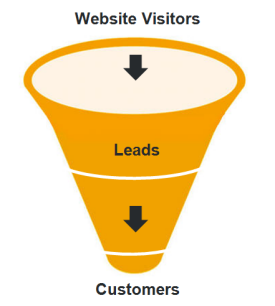 Does your website have a process for converting your website visitors into leads for your business? If it does, you are one of the lucky few because most websites today are glorified online brochures. You see, in order to convert a website visitor into a lead, you must give the visitor a compelling reason to do so, such as a free white paper download offering more information. You do this through a call to action whereby the visitor gives you his name and email address in exchange for whatever you are offering. The problem with most websites is that their only call to action is the “contact us” form. 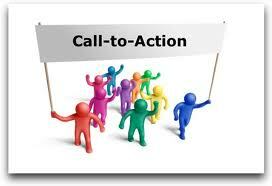 The “contact us” call to action is the most common and least effective call to action. The reason it is not effective is because it offers no specific reason to take action. 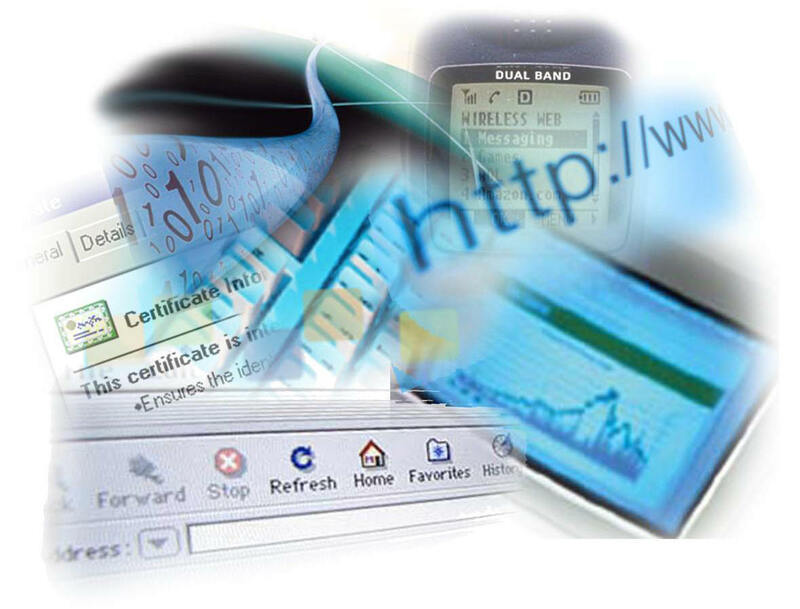 What will the website visitor get in return for contacting you? A sales pitch? That’s what they are thinking. Most small business owners mistakenly believe their sales funnel is shorter than it really is. They believe that once somebody sees their beautiful website and reads how great they are, that person will pick up the phone and call them. Studies have shown that people who use the internet to research their purchases spend a lot of time researching before making person to person contact with a business. And the more expensive the product or service, the more time spent on online research. Your website is a marketing tool. It should be generating leads for your business. If your website is basically a glorified brochure and your only call to action is contact us, maybe you should rethink the purpose of your website. We use a software platform called HubSpot to help us generate leads through our website. If you’d like to learn how HubSpot can help your website generate leads for your business, click the button below. Is your website a static brochure or is it a lead generating machine? When people think about designing a website, or redesigning a website, they sometimes overlook the most obvious question which is, “Why?” Why do you want a website or a redesign? Often we hear that the reason is to get a “fresher look” or to incorporate new products or services. Sometimes, business owners want a redesign so they can make edits themselves. However, once they are able to make edits and add content, many times, the website still remains static and changes are seldom made. What kind of content can I create on an ongoing basis that will attract visitors (and search engines) to my website? How will I research keywords that are necessary to include in my content? When people visit my website, what compelling calls to action can I offer that will encourage them to convert from a visitor into a lead? What different offers can I create for people who are in different places in the buying cycle? Once someone has converted to a lead for my business, how am I going to nurture that lead into a sale? How am I going to analyze my strategy in order to see what is effective and where I need to make adjustments? All of these questions can help you start creating a strategy for turning your website into a lead generating machine. Need help? Contact us and we can help you get started! We are constantly telling our clients that blogging is one of the best SEO strategies there is. That’s because search engines love content, fresh relevant content. 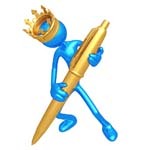 And the best way to provide fresh relevant content is through relevant keyword rich blog posts. As we are fond of saying on this blog, your website/blog is like a trotline with every page/post being a hook baited with relevant keywords (Google bait). The more pages/posts you have, the more hooks and Google bait you have. And the more likely you are to show up on a search results page. So you’ve got your blog articles out there. Now one of them appears on the first page of someone’s search results and they click, go to and read your blog post. Now what? Do you have a call to action that is relevant to your post or your business? Without a call to action, many, if not most, people will think nice article and continue searching the web for more information. You need to give them a reason to give you some information about themselves (e.g. name and email address) in return for something such as a white paper related to the blog post. Once you have their name and email information, they become a lead. Now you can use email marketing to nurture these leads and convert them into customers. to achieve its goal, which is securing customers for your business. Many businesses stop after using the first tactic (SEO), thinking more visitors equals more customers. While that may be true to some extent, to be truly successful, you need to go through the entire process to achieve maximum results.